Member of Parliament (MP) for North East St. Elizabeth Kern Spencer wants the Government to re-open the Goshen Cassava processing factory in the constituency. According to Mr. Spencer, this would be a sure indicator that Government is serious about Cassava cultivation. The MP says a number of farmers have gone into production with an expectation of proper support when their crop comes in. 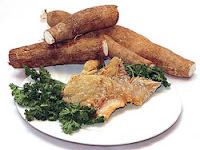 He said farmers in the communities of Goshen and Pepper have already established a cassava farming group. Mr. Spencer said the factory is needed to provide an adequate outlet for the farmers. "I'm calling on the Government to retool the factory as the land space is ideal and the factory space is already there. All the Government needs to do is pull the relevant stakeholders together to create the partnership required to retool and re-establish that factory," Mr. Spencer said.